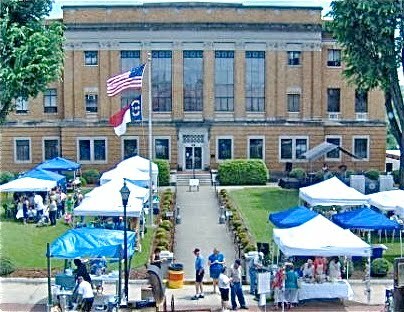 In our neck of the woods, the month of June is going to be filled with events for all you art lovers out there:Black Mountain Arts & Crafts Show (June 5-6): This is the 13th year for this juried art and craft show, which will be held near the Old Depot on Sutton Avenue in the great little town of Black Mountain. The event is free and will feature over 65 juried artisans and crafters. See more details at www.olddepot.org/craftshow/visitors2010.htm. River Arts District Studio Stroll (June 12-13): More than 120 artists’ studios will be open to the public in the River Arts District in West Asheville during this weekend. The River Arts District (www.riverartsdistrict.com) has been transformed from warehouses and factories to workable space for the artists in our area, and this weekend showcases just how vibrant the Asheville art scene really is. The Studio Stroll is free and there’s plenty of parking, or you can ride the Asheville Historic Trolley for free as it stops between studio buildings. Asheville Art in the Park (June 12, June 19 & June 26): The new Pack Square Park in downtown Asheville will showcase regional artists and craftspeople in an artist market that features various mediums, such as pottery, glass, woodworking, ceramics and jewelry. A local art non-profit group will receive 10% of the proceeds from this event. The park itself (www.packsquarepark.org) contains some beautiful artistic features and works by North Carolina artists, including a massive bronze and stone fountain created by local artist Hoss Haley, and is worth a visit any day. Check out www.ashevilleartinthepark.com for more information on Art in the Park. Art in Bloom Flower and Art Show (June 17-20): The 4th Annual Art in Bloom is being billed as a “weekend fusion of flowers and art with interpretive floral designs” and is hosted by the Black Mountain Center for the Arts (www.blackmountainarts.org). The theme this year is Naturally Blue Ridge. General admission is only $5, with photographic and garden tours, as well as a tea and fashion show, available for a nominal extra fee. One cool feature of this event is Ikebana, a centuries-old style of Japanese floral arrangement. Honeybee Arts & Crafts Festival (June 26): Last year, the McDowell Arts Council in Marion sponsored a new festival to celebrate the honey bee. This year, the Honey Bee Arts Festival returns in June, with arts and crafts inspired by the honey bee and the opportunity to pick up some of the delicious honey produced in our area. Admission is free for this event. Visit www.mcdowellarts.org for details. All through McDowell County, our county, which has over 30 stops on the McDowell Quilt Trail (www.mcdowellquilttrail.org), a driving tour of quilt block art created by local artisans and installed on various homes and businesses, including ours! And don’t forget, there are several art galleries and outdoor art exhibits in the area as well. We are truly in an artist’s and art lover’s paradise here in the mountains of Western North Carolina!